1. 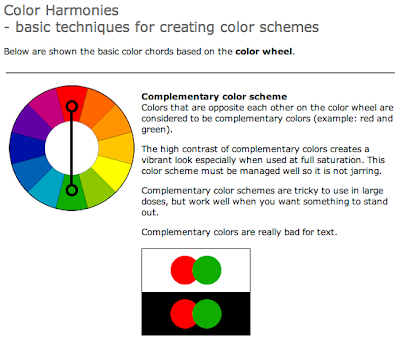 Why do colours force out complimentary colours? 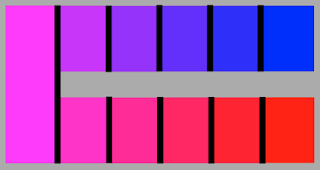 The brain fills in missing complimentary colours, for example, when red and green are shown together, the red appears stronger and forces out green. This is due to red, green and blue are already mixed in the opposing colour, which leads to the eye to view this. Complementary colours are really bad for text as shown above and prove illegible. The green text on the green background is hard to read due to the colour vibrations and highly saturated colour. However, when 2 complementaries are mixed in appropriate proportions and neutral grey will be made. This varies from colour to colour, due to the colour balance ratio of complimentary colours. This can be shown below were a neutral shade of grey is clear in the centre. This can be used to balance out colour when needed. 2. Is it always a case of contrast of hue and tone working together? Tone and hue always work together. 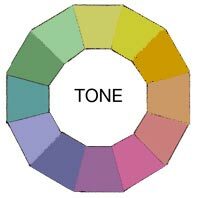 Tone only exists with monochromatic colour (tints). 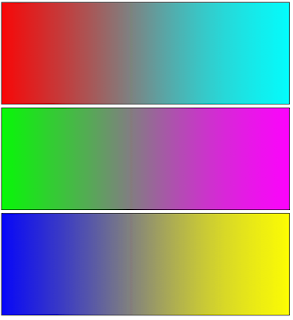 There is only one set of colour information - CMYK, RGB or BW. 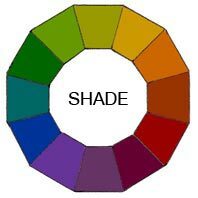 A shade is simply any colour which has black added to it. Semiotics and connotations of 'shades': "Shades are deep, powerful and mysterious. Be careful not to use too much black as it can get a little overpowering. These darks work well in a masculine environment. They are best used as dark accents in art and marketing graphics." A tone is any colour which has been 'toned down' with black and white (grey). Tints are sometimes called 'pastels' as they are created by adding white. 3. How many colours can one use in a piece of design? The rules for this are similar to type, in that their are no limits. However, it is recommended one uses the most of 3/4 fonts, and a similar variation of colour. Shades, tints and hues can be used however to create more balance and visual stimulation, opposed to adding more colours as this can make the design harder to understand or read. This isn't necessarily a design decision, and is rather based on simplicity, legibility and readability, as type and colour equally fall hand in hand. You can lose control of your design if you add too many colours. Aesthetic balance, personal opinion, client restrictions and brief guidelines restrict colour use, as well as stock, cost, composition and image. Here you can see the designer has used one typeface, and two colours along with black. The colours stand out against the background and are highlighted with the band of colour in the middle. 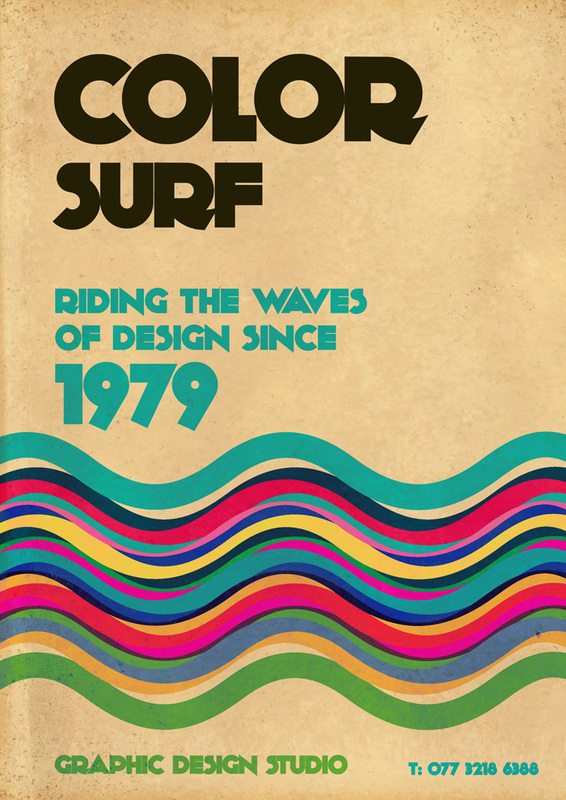 The type is legible and readable, due to the use of minimal colour use. However, here you can see the blue background with yellow text "workbook" wobbles at the sight due to two highly chromatic colours being placed together. You can also see the green which can be seen which is being forced out of the yellow on the blue. Yellow + Green = Blue. There is too much colour and variation of tones, shades and hues to make the cover aesthetically pleasing, as well as allowing for no colour balance. This is the same for this example. 5 colours have been used to make up the title 'colour' including darker shades for a shadow, Due to the highly chromatic background imagery and colour, this makes it illegible at a distance. There is too much colour here to have a specific focus; it has been lost through over use of colour, which is something to be aware of. However the number of colours, likewise with fonts, also varies on the clients needs, preferences and specifications on pre-defined colour schemes for branding, costs and the brief. 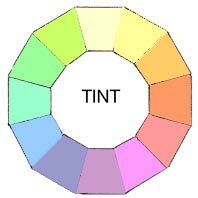 It is recommended you use tints and tones opposed to different colours. 4. If everyone perceives colour differently does this mean we perceive contrast differently? Contrasts can be used to help continuity, but can be perceived differently to each individual, as is colour. 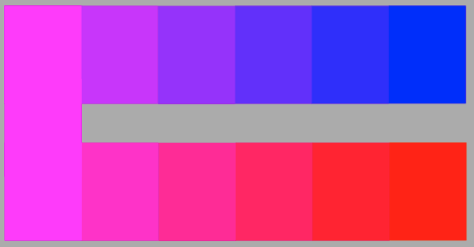 Sensitivity can affect colour perception, which therefore can hinder perception of contrasts, for example, lighting, RGB (screen), CMYK printing. 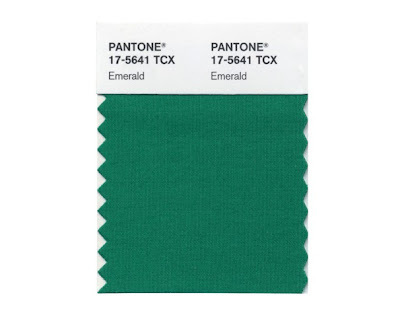 To avoid this pantone swatches are used to ensure continuity. Pantone used to help simplify/understand subjectivity of colour (systematic outcome). Here you can see Pantone's 2013 Spring Colours. These are identified specifically with swatch codes to ensure continuity globally, for textiles, print and fashion. The pantone colour of the year is Emerald; as seen above. 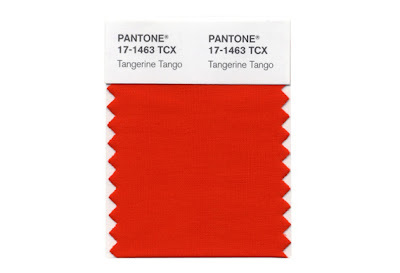 Tangerine Tango; Colour of 2012. 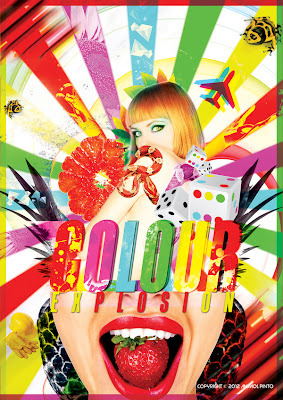 "Fashion, is in part, dictated to by colour. It’s one of the important considerations any designer takes to heart during the creation of a new years line. 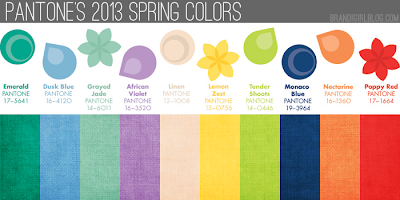 These seasonal colours, used by famous fashion designers, subsequently influence buyers of high street clothing lines which inevitably, are then worn by ourselves. As a fashion sewer, we must source our own fabric, and for those wanting to keep up to date with today’s fashion lines, this means hunting down the ‘in‘ colours. Not an easy task in some fabric stores! 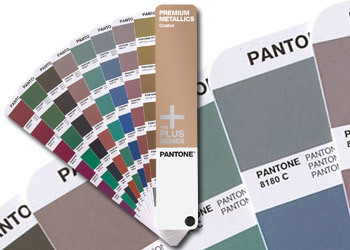 The Pantone Colour Matching System is a standardized colour reproduction system. 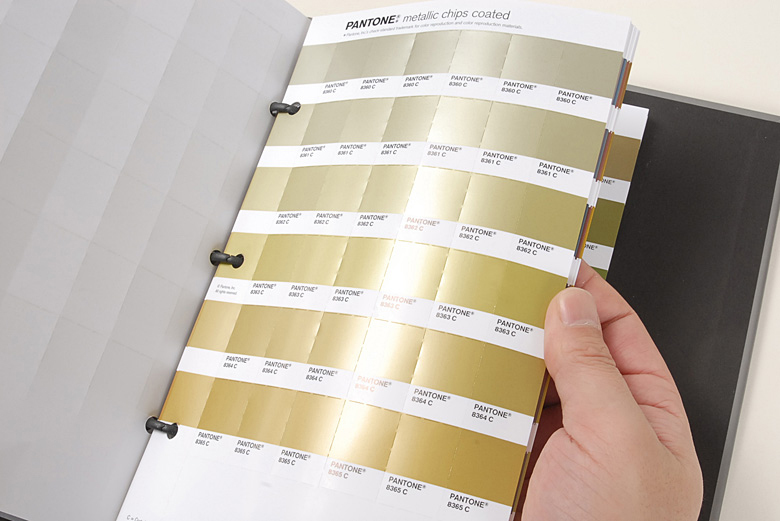 By standardizing the colours, different manufacturers can refer to the Pantone system to make sure colours match. This colour system is used by most manufacturers, from paint and printers, graphic design to our beloved textiles and fabric. 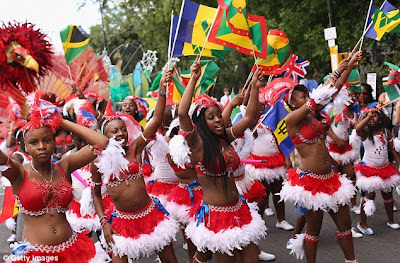 So as I hope you can now see, their colour palettes are of vast importance to us all." 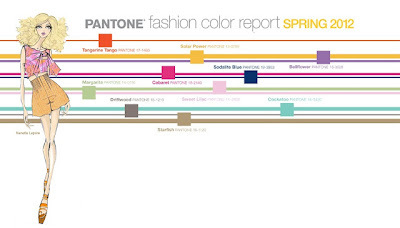 Pantone plays an important role with colour and the varied perceptions. It ensures colours are systematically identical worldwide, on screen and off. 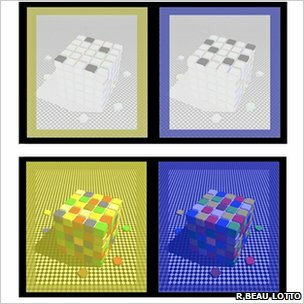 Why do we see colour differently? 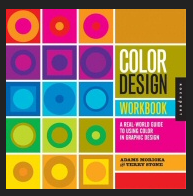 "The first thing to remember is that colour does not actually exist… at least not in any literal sense. Apples and fire engines are not red, the sky and sea are not blue, and no person is objectively "black" or "white". What exists is light. Light is real. How do we know this? Because one light can take on any colour… in our mind. You can measure it, hold it and count it (well … sort-of). But colour is not light. Colour is wholly manufactured by your brain. Here's another example. If you look at the cubes to the right, notice the four grey tiles on the top surface of the left cube and the seven grey tiles on the equivalent surface of the right cube. 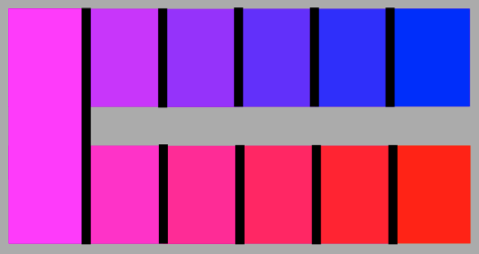 Once you've convinced yourself that these tiles are all physically the same colour (because they are), look at the next image down. What's amazing is that now the grey tiles on the left look blue, whereas the same grey tiles on the right look yellow. The yellow and blue tiles of the two cubes share the same light, and yet look very different." "This is why you see optical illusions, because when looking at an image that is consistent with your past experience of "real life", your brain behaves as if the objects in the current images are also real in the same way. 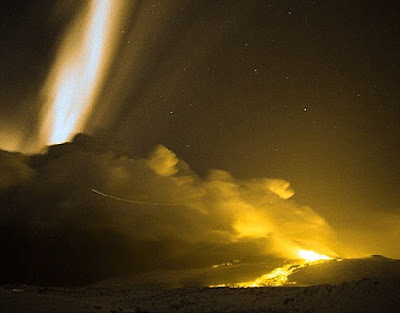 If we are using past experience to make sense of light, how quickly can we learn to see light differently? It is a matter of seconds." "An expert in colour science has hit upon an intriguing idea on why Van Gogh painted as he did - and his insights could change the way we view the Master's art. When Japanese-based Kazunori Asada, giving a speech in Hokkaido about vision deficiencies, found himself viewing Van Gogh's work in a room illuminated to give the impression of colour-blindness, he found the pieces of art transformed into even better pieces of art." "Photography from Iceland shows us a vivid landscape of red and green, as lava flows underneath the Northern Lights"
"But the landscape gets lost, with green and reds sapped from the picture: To a colour-blind viewer, some of the spectacular imagery is muted"
As seen by the colour blind; muted colours and dull tones. Red and Green are stripped from the image. 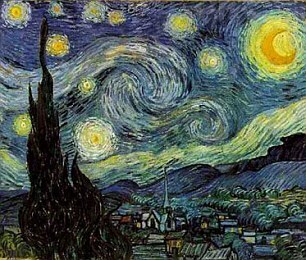 Van Gogh's The Starry Night, 1988, Unaltered colour. Van Gogh's The Starry Night, 1988, Altered colour. 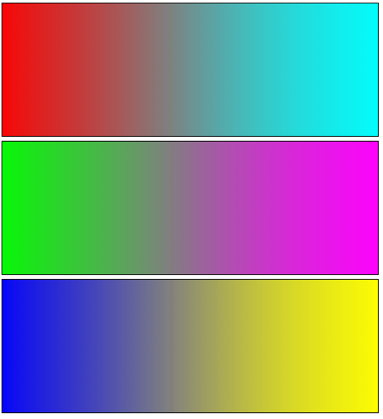 It has been said that Van Gogh had some form of colour blindness due to tone and the hues used in his works, as shown above. "Improvement? Viewed through a colour-blind lens, the textures and mood alters subtly, the outlines become less harsh, and the colours take on a different hue. Speaking of his experiences, he said: The 'Color Vision Experience Room' used illumination filtered by an optical filter - providing a modified spectrum of light. 'In this room, the person who has normal color vision sees color the same as the person who has protan or deutan color vision. 'There were prints of Vincent van Gogh’s paintings in the room. Under the filtered light, I found that these paintings looked different from the van Gogh which I had always seen. He added: 'I love van Gogh’s paintings and have been fortunate to view a number of the originals in various art museums. 'Although the use of color is rich, lines of different colors run concurrently, or a point of different color suddenly appears. I’ve heard it conjectured that van Gogh had color vision deficiency. 'However, in the van Gogh images seen in the color vision experience room, to me the incongruity of color and roughness of line had quietly disappeared. 'And each picture had changed into one of brilliance with very delicate lines and shades. This was truly wonderful experience.'" 5. Does sensitivity affect colour perception? Sensitivity can affect colour perception, which can therefore hinder perception of contrasts. Pantone is used to help simplify and understand the subjectivity of colour, using a systematic approach. 6. Should colour be chosen in natural light? No, surroundings can affect perception of colour but physically won't change. Consistent natural light will be perceived differently after printing also. 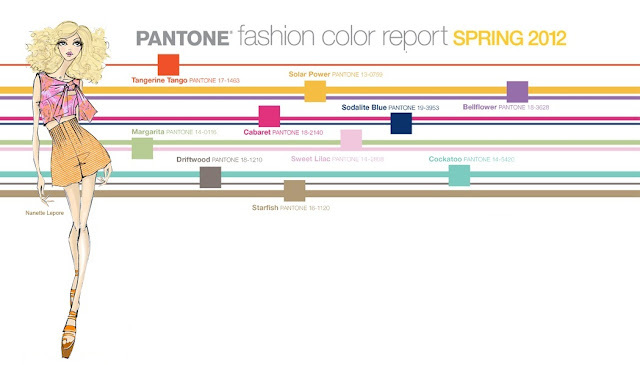 Pantone is used again to create a systematic approach to colour selection and continuity. 7. Is colour relative to metallics? Metallics are included with tertaries and have their own pantone swatches. 8. Does temperature affect spatial awareness? Too much temperature can cause it to be hard to relate to/read text. This can be disregarded by using black lines as colours can recede and contract. Blue is known as the favourite colour for both boys and girls, however it has a calm connotation to it, as green reflects a calm environment. Red appears hot/warm. However, semiotics involving pink/blue for girls/boys is a well known trend, but each colour is subjective and has an emotional response. "Color is a form of non verbal communication. It is not a static energy and its meaning can change from one day to the next with any individual. 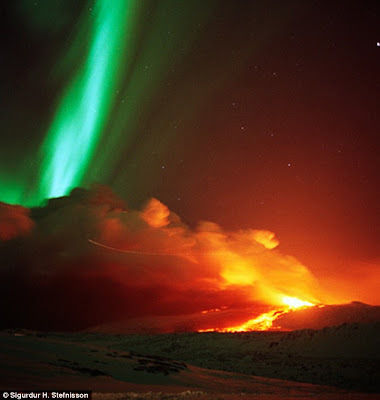 For example, a person may choose to wear the color red one day and this may indicate they are ready to take action, or they may be passionate about what they are going to be doing that day, or again it may mean that they are feeling angry that day, on either a conscious or subconscious level. The color orange is the color of social communication and optimism. From a negative color meaning it is also a sign of pessimism and superficiality. In the meanings of color in color psychology, the color yellow is the color of the mind and the intellect. It is optimistic and cheerful. However it can also suggest impatience, criticism and cowardice. Indigo is the color of intuition. In the meanings of colors it can mean idealism and structure as well as ritualistic and addictive. The color brown is a serious, down-to-earth color that relates to security, protection and material wealth. From a color psychology perspective, gray is the color of compromise - being neither black nor white, it is the transition between two non-colors. The color silver has a feminine energy; it is related to the moon and the ebb and flow of the tides - it is fluid, emotional, sensitive and mysterious. For more on the color black"
10. What are the best colours for body copy, that isn't black and white? Black and white body copy is the best possible combination. It always has a high contrast making it easy to read. Due to the reduced contrast, using alternate colours can slow down reading, and make it harder to read/illegible. Never use yellow for type, due to the really low contrast of colour. Body copy should be kept simple by using one colour. Street Art: A response to social changes and cultural forces. The 21st century, specifically between 2000-10, has been shaped by the increase in mass-consumerism, mass advertising, a massive change in technology political affairs and the UK government, as well as changes overseas affecting how we live our daily lives. It has also affected the world of art. The negative changes that have shaped the past decade have caused a backlash of street artists to reflect, and show an opinion on the society, which they live in and are exposed too. This newfound form of expressionist art has responded to issues the world are exposed too, which thanks to lightening speed digital communications, has been shared globally. Developing responses and opinions on issues has re-started a phenomenon; and street art is back. Firstly I will explain the changes in the 21st century proceeding to the changes in art in social media. For this I will focus on both Banksy’s and Shepard Fairey’s work, before concluding that street art has inevitably adapted itself to the institutionalized art industry, as well as how it has impacted society and culture today. Social networking, and increased digital technology has improved the way information is captured and shared globally. Vast advances have been made regarding the media, Internet, and communication shaping the world we live in today. Increased terrorist and illegal activities have also been taken to extreme levels in the past decade, with the 9/11 bombings, and the phone hacking scandals. Due to these social and cultural issues, security has improved, and everything we do is monitored, captured, analyzed and judged. On the contrary, we appear to be dictated by the government, democracy, and our freedom of speech is repressed to those who are willing to listen. Media conglomerates have enthralled the creative advertising world, making the environment we live in a mass-consumer driven canvas. As a nation, society attempts to direct us into living collectively with the same views, the same opinions, and the same outlook on life. Freedom of speech is impossible, unless you think outside the box. The desire to stand up for your views against the cultural and social issues of society, fighting against the ‘system’ gives street artists a reason to paint and go against the norms and conventions of society, articulating their views and raising their voice in an institutionalized modern day culture. As Banksy once said; “A wall has always been the best place to publish your work [and] graffiti is only dangerous in the minds of three people; politicians, advertising executives and graffiti writers” (Wall and Piece, 2006, p.8). Art has never been dictated; it’s self-expression, not oppression of thoughts and opinion. Banksy has “stood up anonymously in a western democracy and [called] for things no-one else believes in, like peace and justice and freedom” (2006, p.29), fighting through cleverly throughout pieces of street art, often showing his cheeky attitude, puns, pranks and slight aggression towards the controlling world around us. Distance has never stopped Banksy making his mark, and has taken extreme lengths to make a statement. For example, he travelled to the Israeli Segregation Wall, painted 9 separate pieces of artwork on the ‘Palestine side’, causing controversy with locals, the security, and the world. Each painting is almost a ‘window’ looking through to the other side of wall. One particular painting shows a serene beach, which is undoubtedly the opposite of the reality. His statement and irony behind the concept was clever and eye catching, and the paintings told a thousand words - "The Israeli government is building a wall surrounding the occupied Palestinian territories. It stands three times the height of the Berlin Wall and will eventually run for over 700km - the distance from London to Zurich. The wall is illegal under international law and essentially turns Palestine into the world's largest open prison" (Sam Jones, 2005, The Guardian). Artists use their artwork as a way of exploiting the system, fighting back whilst making the public aware of such issues and mocking those who hold institutionalized power over civilians. Street Artists are the voice of the nation, being the voice of those who daren’t speak for themselves. Fairey came to the height of this career in 2008, with the release of his Obama ‘HOPE’ poster for the presidential election. Obama won. He has a very defined style of work, which can only be described as “Andy Warhol meets Socialist Realism” (The Norman Lear Centre, p.3, 2009). Similarly to Banksy, with unique ‘guerilla’ styles of art, Fairey’s craft is reflected through bold imagery, stencils and sticker campaigns, with hidden socialist issues reflecting current affairs. These are the established morals of falling into a socialist trap, which by following the government and voting for Obama made this campaign a success, essentially proving to an entire society, they we are essentially ‘Obeying’ advertising and mass-consumerism, regardless of the topic. He is making a point about something we don’t even realize we are unconsciously doing, yet is right in front of us. Fairey’s subtler yet stark take on this view, echoes Banksy’s as previously noted, but the execution is on the contrary. Fairey’s work is heavily based on propaganda, and the aesthetics of Russian publicity posters, which reined throughout the revolution. Political issues shown through such simple mediums, leave the message being perceived open to interpretation. Many of his pieces are centralized around the idea of war. His major show in 2007 was located in New York City, and was entitled “E Pluribus Venom”. It is said that this is taken from the Latin phrase “E Pluribus Unum”, which literally translates to “One of many” (Kellis Landrum, Neu Black, 2007). This was an early phrase used during this era that was previously adapted and placed on U.S. monies. “For Shepard Fairey, many becoming one, or a loss of power and the influence of the individual in favor of homogeny is a symptom of a society in decline. E Pluribus Venom entails a two-fold metaphor: referring to the poison in the American system and the individuals who are motivated by venom and have anger towards this system” (Kellis Landrum, Neu Black, 2007). The concept behind is show is complex, yet truthful which is reflected through the exhibited works, whilst potential viewers may have not understood the message, taking the artwork for it’s literal meaning. Banksy on the other hand focuses on stenciled art, controversial stunts, pranks and installation relative to location, concept and message. Banksy aims to shock and entertain the viewer, whilst causing stress to the target, i.e. government, public or police, whilst Fairey is much more politically correct throughout, however controversial the truth is. Banksy’s most controversial piece however, was a piece of installation placed in Disneyland California in September 2006, whilst being filmed by Thierry Guetta. His stunt consisted of placing a life size blow up doll, dressed in an orange jumpsuit, identical to those detained in Guantanamo Bay behind the gates of the ‘Big Thunder Mountain Railroad ride. The doll was placed at the side of the ride, visible to tourists and riders. Banksy’s spokeswoman made a statement regarding his lucrative intentions, and claimed “Banksy said the stunt was intended to highlight the plight of terror suspects at the controversial detention center in Cuba.” (BBC, 2006). His ideology behind the stunt worked; the park closed for 90 minutes until the installation was removed. The vast array of Banksy’s art shows he is passionate and committed to making a clear, bold statement, regardless of the consequences. Shepard Fairey’s work proves that he also is “hardly a typical street graffiti artist working against the corporate establishment of advertising and its colonization of the street.” (The Lear Centre, p.4). His controversial and simple work has complex meanings of emotion, feeling, politics and progression of society, which are underlying the surface. Both ‘HOPE’ and ‘OBEY’ turned viral during this decade due to mass-communication, media and those who have ‘obeyed’ and therefore advertised, or even turned to art themselves. The continued escalation of the campaigns have given street art a new found credibility, in the same decade as Banksy emerged with his anarchic, rebellious and revolutionary art work, making ‘outdoor galleries’ much more interesting and real to view than galleries. Due to the ‘hype’ around street art during 2000-10, artists were realizing that the street art phenomenon that has captured the entire world, through message, passion and even more crucially – Internet, the speed of data communication and social networking. Artists developed work more people were becoming interested in, such as installation and secret pop-up exhibitions not for the aesthetics, but for the meaning, concept, and message being delivered. Artists began changing their trade due to the ever-growing popularity and the desire for more. In June 2009, Banksy held his first exhibition in his hometown of Bristol, at the City Museum, which validated his level of recognition and fame. Over 100 pieces of artwork, including installations were displayed. Two pieces are still shown in the museum and kept in their permanent collection, which are on show to the public. As a prankster Banksy had previous placed pieces of his own work in the Tate and Louvre to observe the reception of the viewers. The collection shown in Bristol proved his popularity as an artist even though many view perceive him as working in a technically illegal vandalistic trade. Hence his response to his own top-secret exhibition; “This is the first show I've ever done where taxpayers' money is being used to hang my pictures up rather than scrape them off.” (BBC, 2006). He also stated after observing a piece of ‘pop-art’ he had placed in the Museum of Modern Art in New York, that he “took five minutes to watch what happened next. A sea of people walked up, stared and moved on looking confused and slightly cheated. I felt like a true modern artist” (Banksy, 2006, p.179). This very statement shows how museums and art galleries can transform a once looked-down upon skill, as a new fascination, which has suddenly become high culture, opposed to low culture regardless of it’s true rebellious meaning and contradiction of becoming a ‘sell out’. Becoming a sell out is something that Fairey has been accused of with his ‘OBEY’ campaign, which goes against the morals of his intentions; likewise with Banksy. Due to the social and cultural changes regarding the influences of street art in the previous decade, “museum and gallery exhibitions and international media coverage have taken Shepard Fairey, Banksy, Swoon, and many others to levels of recognition unknown in the institutionally authorized art world” (Martin Irvine, Georgetown University, 2012) opposed to making them ‘sell outs’, which is known to be the general preconceived notion of these particular artists, due to their work being commercially used and replicated for mass-media and mass-consumerism with merchandise, books and ‘propaganda’. Having work in world-renowned galleries is proof enough that people are being to see a change in the art world, and not focus strictly on ‘fine arts’. The freedom of creativity has been praised and unleashed for critique from the academics, art critics and celebrities, who are willing to pay high prices for ‘an original Banksy’. For example, one of his more unknown words ‘Insane clown’ which is simply a stenciled image spray painting on hessian, sold at an auction house in 2009, for $320,000. In 2008, Banksy’s ‘Vandalized Phone box’ installation, sold for $550,000 at Sotheby’s in New York, whilst a defaced Damien Hurst ‘Spot Painting’ cleverly entitled ‘Keep it Spotless’ sold for $1,700,000. By street art now being institutionally acceptable, artists have started to bring their work from the walls outside, to walls on the inside. They have had to adapt to the ideology that street art no longer only appears on the streets outside the galleries, but on the walls within it also. Over a decade ago, street art would not be seen anywhere other than backstreet allies or known skate areas, whilst in modern day and age, it has been the most successful, yet unorthodox, yet honest medium of art there is, and it’s appreciated for that reason. Artists have had to deal with the changes in society, culture and the change in public opinion, and had to adapt to these needs of their audience whilst staying true to their beliefs, ethics and views as an artist. In the past, post-modern movements such as Pop Art, and Hip Hop have influenced street art, whilst in the past decade, no specific art movement or music genre has shaped the industry. Street Art has shaped itself by the vast changes in society, politics, ethics, humanity, terrorism, fear, national security, fraud and the day-to-day culture and lifestyles which we live in. It has become a post-modern phenomenon, due to the vast increase in media and technology. Graffiti is now fought for by the public in particular areas to be saved, re-touched or preserved, with claims of enhancing the community and environment. Views are changing on street art; by becoming popular, it has managed to break the mold and the boundaries within fine art, graphic design and street art, as well as the high and low cultures associated with galleries, museums and critics. Regardless of Banksy and Fairey being called ‘sellouts’, this does not detract from the work, the praise being received due to its enormity, or the message being conveyed. It is without a doubt that the Internet and increased interest of commercialized art and merchandise, combined with social networking, having given street art the credibility it has needed and deserved for so long to receive such recognition from fine art institutions. If it’s in one of the best galleries in the world such as The Museum of Modern Art in New York; you know something is going right. Both artists will stay true to their unique styles and work, regardless of crossing over into the institutionalized world of fine art. Street Art is becoming more recognizable as a form of quality art, opposed to being labeled ‘vandalism’ or ‘graffiti’. The truth, reality and prosperity shown through art, have made a point publically of raising awareness of issues normally dictated by leadership and commercialism, and in the past decade has proven globally that street art is not a phase, it’s a way of communicating a message to those looking for an alternative to the system; those searching for an alternate train of thought and furthermore truth, reality and rebellion. It’s here to stay; with a voice, an attitude and a passion. Banksy. (2006) ‘Wall and Piece’, 2nd ed. London, Century. p.8. Banksy. (2006) ‘Wall and Piece’, 2nd ed. London, Century. p.29. Banksy. (2006) ‘Wall and Piece’, 2nd ed. London, Century. p.136. Banksy. (2006) ‘Wall and Piece’, 2nd ed. London, Century. p.179. Irvine, M. (2011) ‘The Handbook of Visual Culture’, ‘The work on the street: street art and visual culture’ 1st ed, Burg Publishers, p. 235-278. Liberty. (Undated) “Closed Circuit Television – CCTV”. [INTERNET] Available from: <http://www.liberty-humanrights.org.uk/issues/3-privacy/32-cctv/index.shtml>. Quoted in: Donegan, B. (undated). “One Nation Under CCTV”, p,1. The Norman Lear Centre (2009) “Art, Culture, Politics: A Conversation with Shepherd Fairey” November 4th , p. 3. The Norman Lear Centre (2009) “Art, Culture, Politics: A Conversation with Shepherd Fairey” November 4th , p. 4.